There are numerous factors which can affect the value of your property. A FREE online property valuation is a really good starting point. There are plenty out there, so you won’t struggle to get started. These handy tools offer a rough price range, from the lowest value to the highest. Letting you decide where, on the scale, you think your house should sit. TheHouseShop has a FREE online property calculator which uses varied data about the current property market and provides a lower, middle and upper valuation. NEVER SELL YOUR HOUSE FOR LESS THAN IT’S WORTH. Take the minimum as an absolute minimum, otherwise you are being duped out of your money. From here you can start to be a bit more specific. This is the time to do your homework. Research is key and will help you to narrow down your options and ensure that you value your property correctly. Start with the current market. 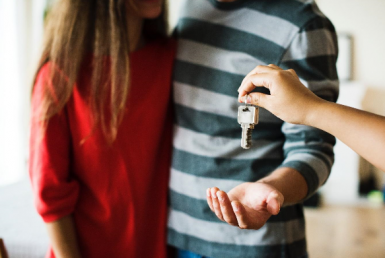 The property market is very fluid and it changes frequently, meaning that property prices can rise and fall too, depending on the success rate of the market itself. It is crucial to gain a good understanding of how the market works and how it impacts you and the price of your property. The Land Registry is a fantastic FREE resource which can help you to value your house. 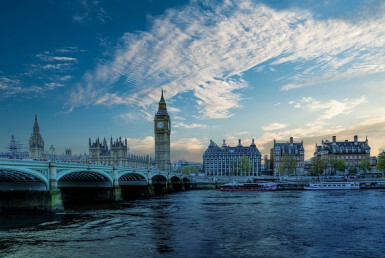 It offers the latest monthly residential property price data for all of the property sales in England and Wales. In addition, it is a good idea to check out similar properties in your area and see how much they are going for. If their prices differ drastically to your idea, then you may need to alter your valuation to match, but make sure you are competitive and above all, be REALISTIC. So what individual factors about your property can affect its value? 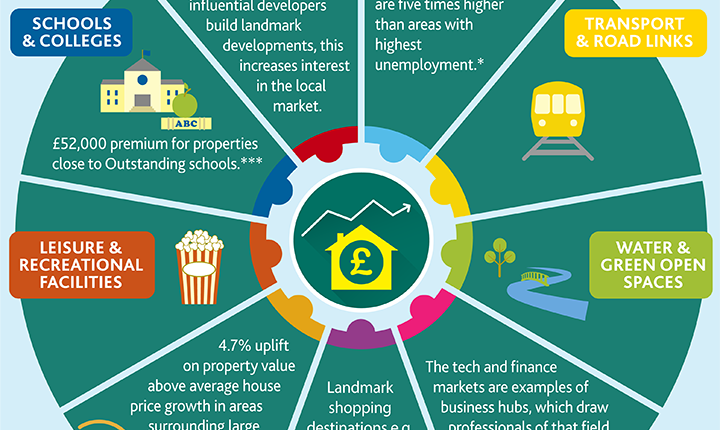 Foxtons have created this excellent little infographic which explores all of the different things which can affect property prices. Areas with low unemployment are much more likely to be more expensive than those with high unemployment. In fact, research shows that the price difference is almost 5 times as much for low unemployment areas. People often move for their jobs and if not for a current job, then for a potential job. The correlation is rather obvious. Some people may like living in the middle of nowhere, but the majority of people love accessibility. Even if it just good road links, the ability to get anywhere with ease is very appealing; especially if it is easier to get to your place of work. As a result, places with good transportation links are more likely to have a higher price tag. It is common that people like a mix of the urban and the rural. Easily being able to get to the bustling city, but within travelling distance of a quiet green space is very important in our modern world. A property that is equidistant to both will increase its value. This is linked to employment rates, because an area with emerging markets is going to attract job seekers and professionals and subsequently increase property prices due to demand. Local amenities will increase your houses value, as house hunters love to have their essentials close by. Research has proved that developing areas result in a 4.7% increase in property value. Families will pay top prices for a local outstanding school nearby. A mixture of all of the above will really increase your houses value. If all of this has simply confused you more, then you can always hire an estate agent to professionally value your house. And believe it or not, it’s completely FREE. 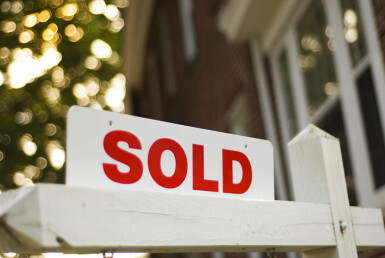 Which means you can sell your house confidently.